Manchester, NH – In an effort to complete a one million dollar renovation, a New Hampshire volunteer group and local law enforcement are turning to the community to help raise $100,000. Building on Hope and the Manchester Police Athletic League (MPAL) have launched a GoFundMe page at https://www.gofundme.com/Manchester-police to raise funds for the renovation of the Michael Briggs Community Center, an inner-city youth center named in memory of a local fallen hero. They are also reaching out to the business community for support in the form of donated materials, and offering Community Development Finance Authority (CDFA) tax credits for businesses interested in making a financial donation. Over 8,600 at-risk youth live within one mile of the Michael Briggs Community Center which was named after Mike, a Manchester police officer who was gunned-down in the line of duty in 2006. The center provides a safe and positive afterschool environment for Manchester’s inner-city youth, offering an alternative to at-risk behavior and encouraging positive relationships between law enforcement and young people. The building is in need of major renovations from the roof all the way down to the floor tiles, and with less than four months until the jam-packed week of upgrades and the big reveal, there are multiple opportunities for individuals and business to offer support including donations through CDFA tax credits. Businesses that donate to CDFA-approved projects can receive at least 75% of that contribution back in the form of a state business tax credit. For example, a donor making a $10,000 donation to CDFA on behalf of MPAL will receive a state tax credit in the amount of at least $7,500. The tax credit may be applied against the donating company’s business profits tax, business enterprise tax and/or the insurance premium tax. The donation may also be eligible for treatment as a state and federals charitable contribution. The contributing company may carry forward the credit for up to five years. The company can select which business tax and how much of their credit to apply towards their taxes in any given year. To take advantage of this opportunity, letters of support must be received prior to April 30, 2016. In addition to financial support, materials and skilled labor volunteers are still needed in the form of carpenters, electricians, painters, framers, flooring and countertop installers, site managers for an extended period of time (full day or more), kitchen equipment, exercise equipment, office and common area furniture, doors, hardware, casings, t-shirts and more. Individuals with such skills and/or physical material available for donation, or are interested in finding out how your skills could be of assistance should contact Volunteer Coordinator Sue Bee at sueannbee22@gmail.com. A full team of local designers, electricians, plumbers and more will completely renovate every inch of the building. 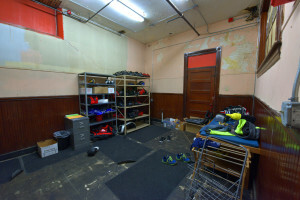 As of now, the 16,500 square foot space consists of one large room on each floor with additional closed-off rooms being taken up by old equipment, broken furniture, etc. The goal is to create a space that flows from one area to the next, encouraging openness and a community feel while giving students and volunteers designated areas to participate in their activities. 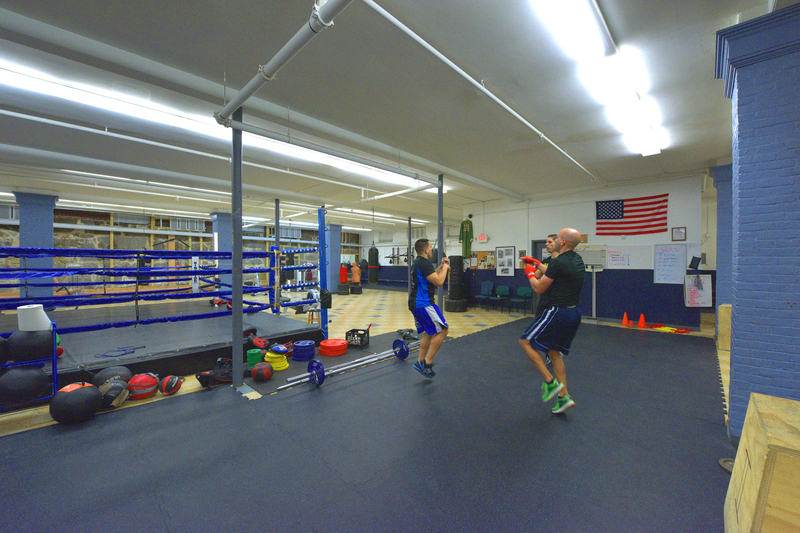 The space currently used for the boxing ring is run down with drab, peeling walls and floors that will be replaced with new material and inspirational quotes and graphics on the wall. The furnishings will complete the positive, cohesive design. The community room upstairs is separated by columns, a stage, judo/wrestling mat and storage. Renovations in that area include ripping down the stage, replacing the wall and dividing the space into a homework room with docking stations, a game room with TVs and gaming systems and expanding the kitchen to provide healthy meals. Located in the center of the building, the new room will feature an artistic space showcasing community, trust, and movement, with the ability to seat over 250 people for group meals, movie nights, wrestling competitions and more. In addition to the individual rooms upstairs, both floors will have new offices for coaches to work and meet with their students, and new men’s and women’s bathrooms/locker rooms and new judo, wrestling, cross training and aikido equipment will be installed. For more information, please visit http://buildingonhope.com/. Individuals interested in volunteering time, skilled labor, materials or financial donations can visit the volunteer page for more information at http://buildingonhope.com/get-involved/. 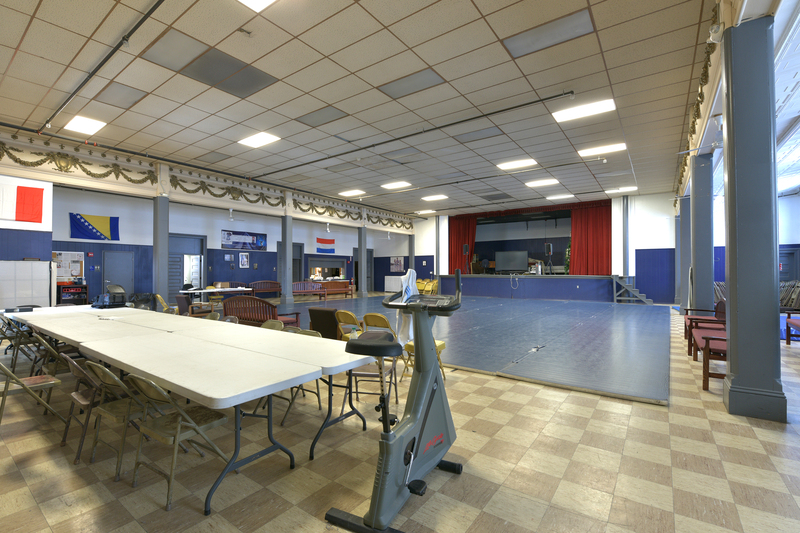 Located in the center of the MPAL building, the current community room will be completely transformed by taking down the columns and stage to create a larger space capable of hosting over 250 people for large meals, aikido competitions, movie nights and community activities. MPAL volunteer fitness coaches warm up and prepare for kids to arrive surrounded by outdated gym equipment and flooring. Rooms such as these, currently used to store equipment, meet with kids and train, will be completely renovated to become dedicated spaces for coaches, homework stations, gaming stations, offices and more throughout the building.